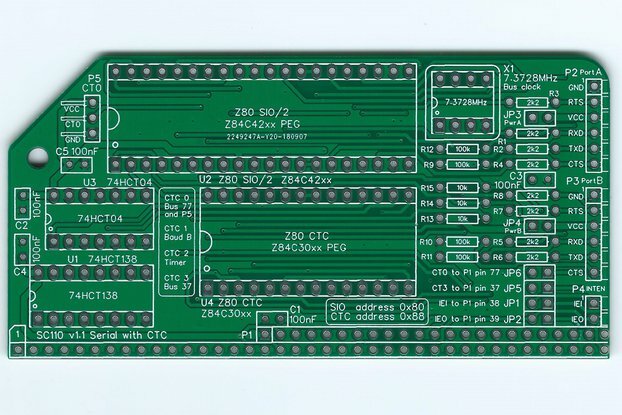 This module houses a Z80 counter/timer (CTC) device (Z84C30xxPEG) and is designed for use with the RC2014 retro computer. 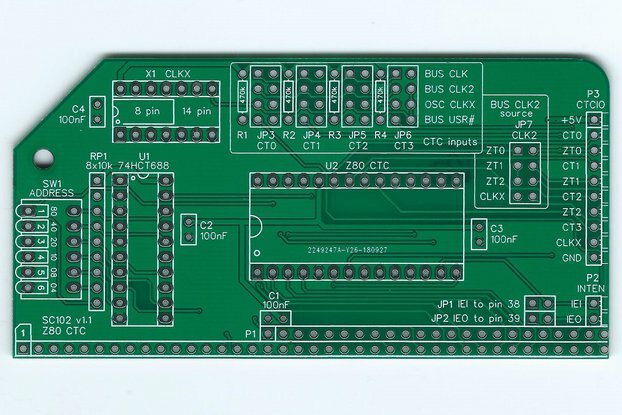 The Z80 CTC provides four counter/timer channels and this board provides a range of input and output options for each channel. 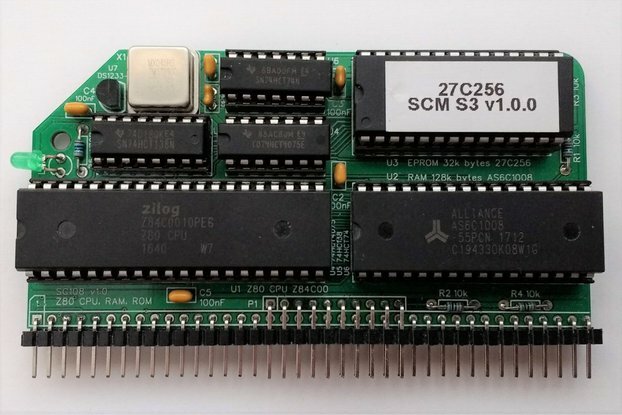 By connecting CLK2 to a CTC output it is possible to set the baud rate of a Z80 SIO/2 module by writing a suitable value to the CTC. 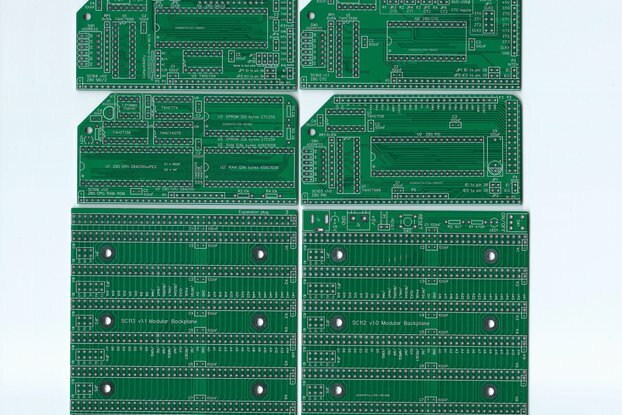 Each input and output is available on a pin header mounted on the back edge of the board. 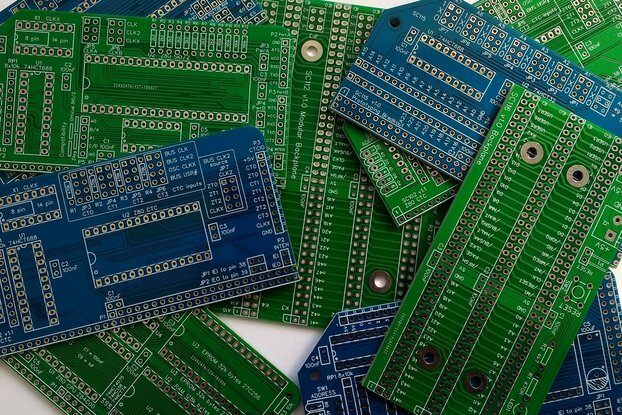 This header is well suited to linking to prototypes with Dupont cables. 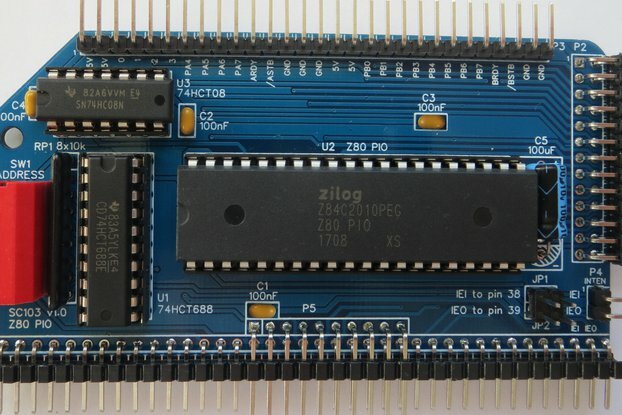 The module provides support for Z80 mode 2 interrupts, with the IEI and IEO signals available on a two pin header for linking with flying cables. These signals can also be optionally connected to the RC2014 bus with jumpers. 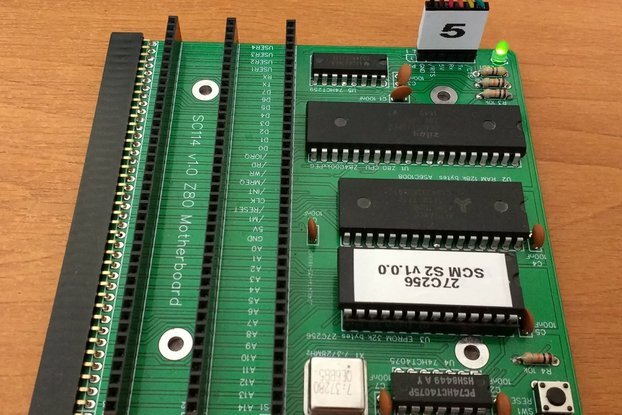 Address selection is by DIP switch, allowing the module to be located on any 4-byte I/O address boundary. 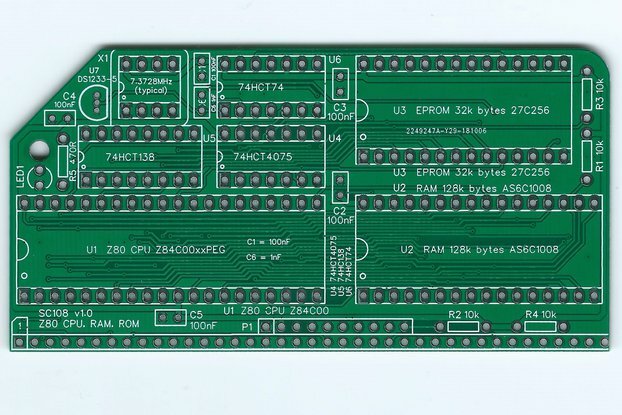 The tight and flexible address decoding means many of these modules can be fitted to a single RC2014 computer. 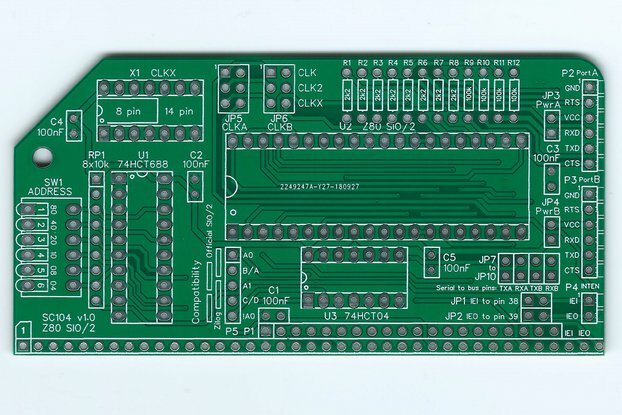 This product has a user guide and an assembly guide. These documents can be found at www.scc.me.uk or by following the documentation link below.